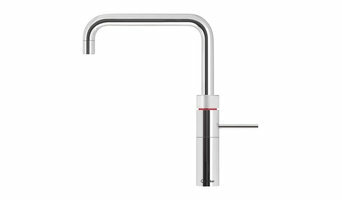 The Quooker tap was the world’s first truly 100°C boiling water tap, and still retains a patent which prevents others from copying its innovative vacuum flask tank design. Quooker products also feature push twist and turn mechanisms and unique aerators which ensure water is dispensed in a safe spray, preventing scalding. Over 300,000 Quooker taps have been installed in nine countries, 60,000 of them in the UK, without a single report of an accident. Their unrivalled functionality and efficiency quietly bringing about the same kind of kitchen revolution that once accompanied the inventions of the kettle, the fridge and the dishwasher. Schüller is one of the Top 5 kitchen manufacturers in the world producing over 100,000 kitchens a year. The company turnover exceeds €300 million yet are still a privately owned family company. Schüller offers extraordinary quality, matched by impeccable service. The brand of Schüller will ensure that any development is further enhanced, increasing value and desirability. Choosing the right kitchen for your next development project needn’t be complicated, because we’ll help you to make all the right decisions. LDK Contract German Kitchens work with Schuller, one of the world’s most renowned kitchen manufacturing brands so you can be sure that the kitchen furniture you choose for your next project will be of premium quality. Designhaüs – The design team will take your ideas and bring them to life with state of the art software technology. With thousands of design possibilities a perfect solution for your next project is a certainty. Installation – Whatever the size of the development a full installation service can be provided from either our in house teams or from our network of approved, trusted installation partners. 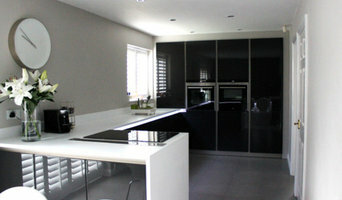 Our guarantee is that every kitchen will be finished to the highest standard. Project Management – A dedicated Project Manager will spend as much time on site as is necessary in order to ensure a smooth and seamless installation process. Full Gantt charts will be provided that can be integrated with your own scheduling processes. Supply & Delivery – The Manufacturing plant, based in Herrieden, Germany (near Ansbach and Nuremberg) is over 200,000m2 and is home to more than 1200 employees and is the base from which Schüller’s huge logistics fleet depart from to deliver over 2000 kitchens per week across Europe. 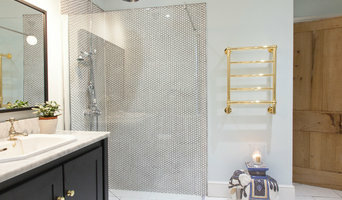 Welcome to the website of Modern Living Bathroom, Kitchen, Bedroom and tile specialists. We have two showrooms in Leeds and Bradford where you will find a large selection of quality and contemporary bathrooms, kitchens and bedrooms at hugely competitive prices. We hold direct accounts with most major manufacturers and this ensures that we can offer you some of the best prices around. Airuno are the leading distributors of designer cooker hoods. Our unique range of products combine quality and innovation. The various creative options w ill satisfy the important issues in both design and performance. Our cooker hoods cover all the requirements of an upmarket kitchen showroom i.e downdrafts, ceiling hoods, wall hoods, island hoods together with very powerful motors which provide the maximum extraction. Delivery is ex-stock for next day delivery. The After Sales Service is by our own in-house engineer who is always available with technical advice. MillersUK Ltd is a national organisation with over 25 years experience of providing a dedicated service to the commercial catering and laundry industry. A single point of contact for the customer, managing all aspects of electrical or gas catering and commercial laundry equipment sales, service, Installation & repairs throughout the UK. We are committed to continuous improvement and positive innovation within your industry sector and are confident in providing all new and existing customers with a reliable, courteous and value for money service. At Swan, we create award-winning cookware and kitchen accessories designed to bring the heart of the home to life with expression, style and functionality. Pestaxe Pest Control – Manchester is a professional pest control company. Operating from Ardwick ( Manchester), Pestaxe Pest Control provides Pest control services to clients throughout Greater Manchester. We have many years of experience in the Pest Control Industry. With best quality products and fully qualified staff, the company is able to offer a professional pest control service to businesses and homes. 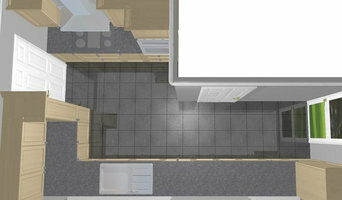 The service is intended to be cost effective, helping clients to live in a safer environment. With pestaxe you can be assured you?ll be getting a professional service. We specialise in rats, mice, pigeons, cockroaches, bed bugs, beetles, ants, bees, wasps, fleas, mosquitoes, flies, squirrels, Moles and foxes. Traditional home security doesn't work for most people. It's too expensive, too complicated, and false alarms happen so often that we've learnt simply to ignore them. In 2014, our founding team decided that the future of home security is to make using it as simple and intelligent as possible. We set about creating a technology that would protect the whole home from a single device, and this is how Cocoon came into the world. We believe in making homes safer and simpler. Often the people that need home security the most are the people that don’t have access to it. Whether you’re renting, own your home or travel between homes, everyone should feel safe at home with the minimum of fuss. Professor Stanga and his team would like to welcome you to Eye & Retina Specialist UK, the practice that specialises in eye conditions and in particular - Ocular Trauma, Medical and Surgical Retina, Macular Diseases, Diabetic Retinopathy, Cataract Surgery and Intraocular Lenses and Electronic Retinal Implants for Artificial Vision or “Bionic Eye”. I love producing prints that people enjoy enough to have in their home - if you want to share a photo of the print once it is displayed I would be over the moon! Your Derbyshire appliance professional might handle any or all of the following jobs: selling, installing, repairing and upgrading both small and large appliances. He or she can advise you on the right equipment for your New Mills, Derbyshire, UK home, from features to finishes, and is usually in the know about the latest technological advances and bells and whistles. When appliances hit a snag or start to show their age, a pro can advise you whether to repair or replace them, then carry out his or her recommendation. Some appliance professionals in New Mills work closely with New Mills, Derbyshire, UK builders, renovation contractors, and kitchen and bath designers, among others. Here are some related professionals and vendors to complement the work of appliances: Kitchen & Bathroom Fixtures, Kitchen & Bathroom Designers, Kitchen & Bath Renovators, Specialty Contractors, Building Project Managers. Find an appliance professional on Houzz. Narrow your search in the Professionals section of the website to New Mills, Derbyshire, UK appliances. You can also look through New Mills, Derbyshire, UK photos to find examples of rooms with appliances you like, then contact the professional who worked on them.